A serious crash blocked both lanes of the A1 near Wittering this morning, Wednesday March 9. 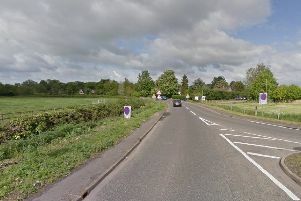 The collision involving an overturned lorry took place on the northbound carriageway and police asked motorists to avoid the area. Police, fire and ambulance attended the scene of the crash which took place at 10am. No serious injuries are reported but there were delays of up to an hour between Peterborough and Stamford.